It was on a trip to Morocco with a group of food importers in 1994 that I became fascinated with almonds. There I first noticed that not all almonds are alike. Those almonds were broad, flat and dusty. The size of my thumb, they had deep ridges and a bright burst of almondy taste. That chance encounter led to a full-time job working with nuts and fueled my passion for the elegant and versatile almond. 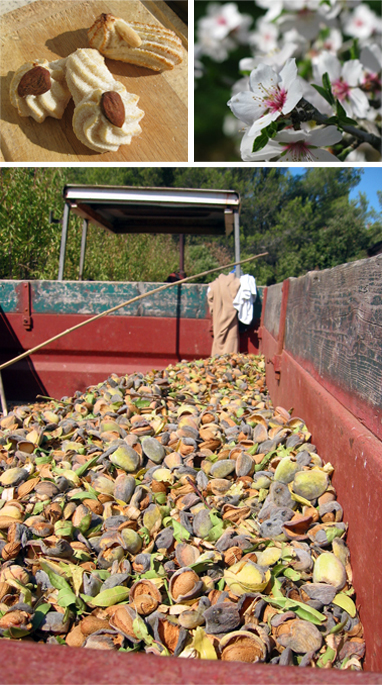 Through almonds I have gained an insight into the complexities of our global food system. I create recipes using almonds and experiment with new ways for bakers and chefs to use nut products. I count almond growers among my friends and am always looking for the next great way to use prunus dulcis. Got almond milk? To whet your appetite for all things almonds, here are some of my tips for using them in healthy baking. If you’re mad for French macarons, you might enjoy the map I did for American Almond Products Company. Called Macaronathon it takes you to all the bakeries and patisseries in New York that specialize in delectable French almond macarons. Almonds shine in savory dishes such as this Spanish style carrot and cauliflower with a zesty roasted red pepper and almond sauce. This is a recipe I developed for an article in Food and Wine Magazine. Read more about almonds HERE.